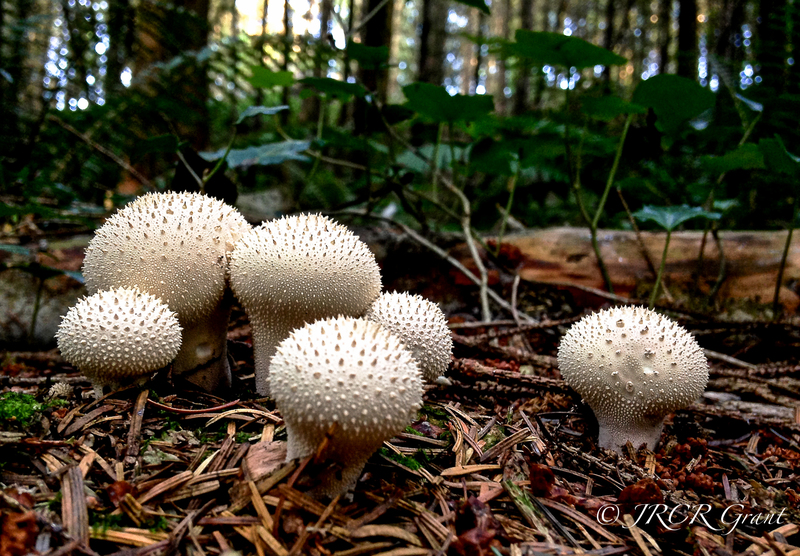 Saw these prickly fellows gathered together for a party up in Garryduff Woods. * taken from John Keats’ Ode to Autumn, a poem I recall studying back in the days of school. Some of the coolest fungi I’ve ever seen. I love Anne Farmer’s description! I’m quite certain they’re alien houses, myself. Great shot, phone camera or not! I think this looks great, although I can’t tell you what these are. The iPhone can take some wonderful photos and as they say the best camera is the one you have with you at the time. Except for the “spikes”, these remind me of puffballs. They are beautiful and definitely draw your attention. What a great photo! It could be a puffball because they have those prickly things when they’re first starting out. Amazing – they look like sea urchins on stcks! Look like a type of puff ball, but never seen spiky ones before. Amazing texture on those John – can’t help with identifying though.